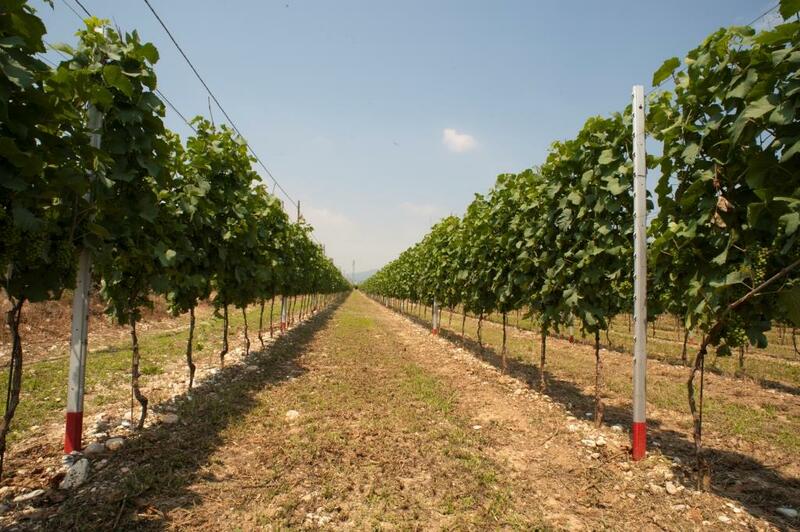 Valente's Tekno Evo range of support structures for agriculture is revolutionising the grape growing industry in Italy. 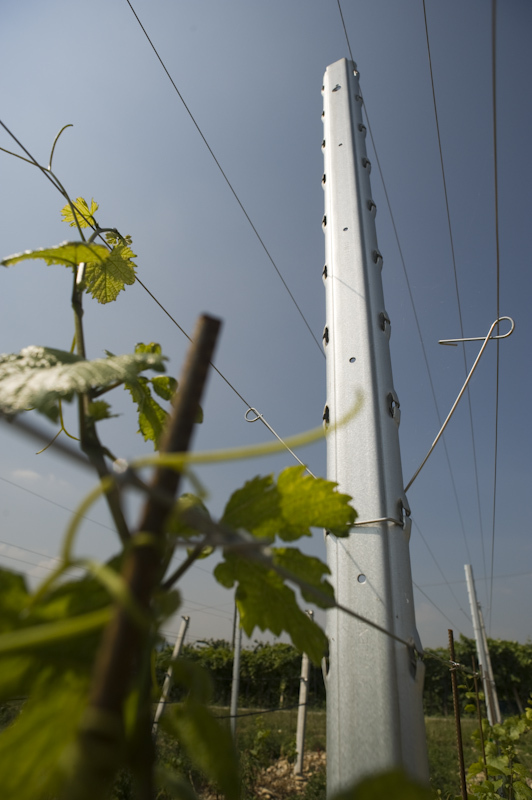 The unique poles and support mechanisms all make use of Magnelis® to provide long-term maintenance-free support for vines. 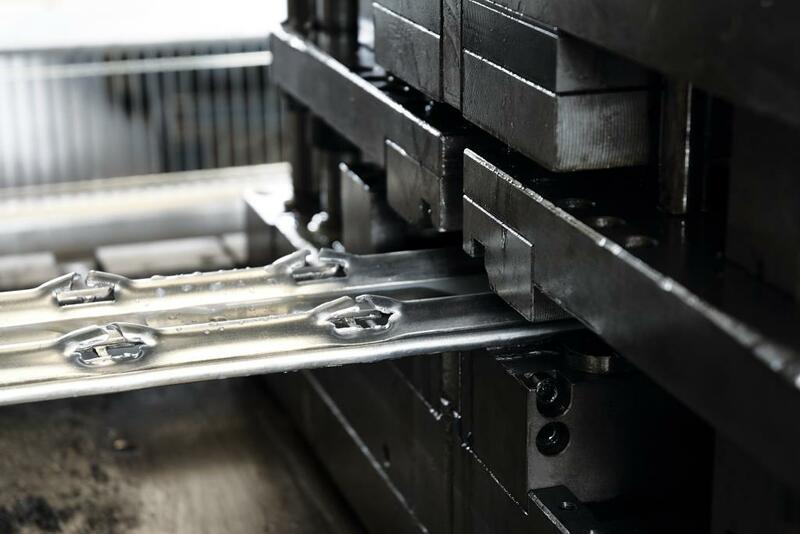 The material is supplied to Valente by ArcelorMittal CLN Distribuzione Italia – a joint venture between ArcelorMittal and Gruppo CLN, an Italian business active in steel distribution and engineering. 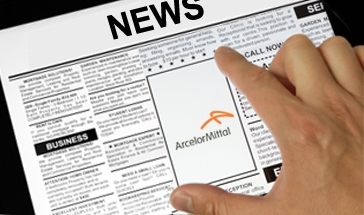 ArcelorMittal CLN looks after the steel needs of almost 3,500 companies across Italy. Magnelis® coated steel (grade S220GD) arrives from ArcelorMittal CLN Distribuzione Italia as slit coils, ready for Valente to form into vine support poles. “Valente started making concrete poles for vineyards. 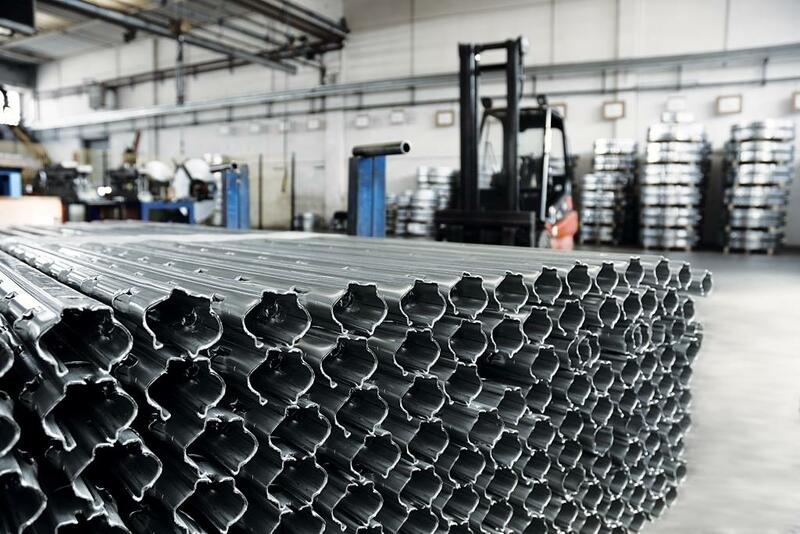 In the first months of 2000, we began to produce steel poles which were post-galvanised,” says Paolo Zalgelli, supply chain manager for Valente. 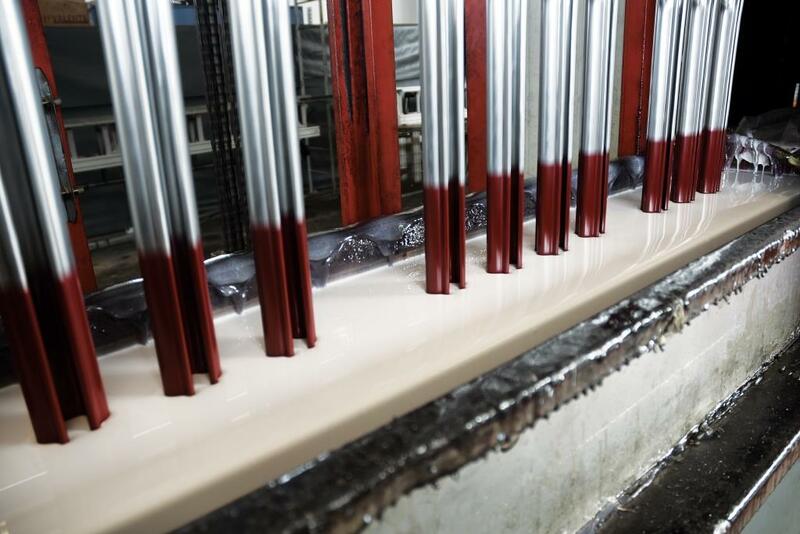 Magnelis® coated steel can be processed using the same forming and joining techniques as uncoated steels. The poles are then bent into their final shape. A key advantage of Magnelis® is that it heals on cut edges. That ensures that all parts of the pole are protected against corrosion, even in the notches. Until recently, Valente coated the bottom of the poles with a red paint. The entire pole was then coated with a clear varnish to add extra protection. “This came about because we had problems with zinc-aluminium coatings in the past. We now realise that this step is unnecessary with Magnelis®,” notes Paolo Zalgelli. Each post is marked with depth measurements to simplify installation and ensure the support structures are level. 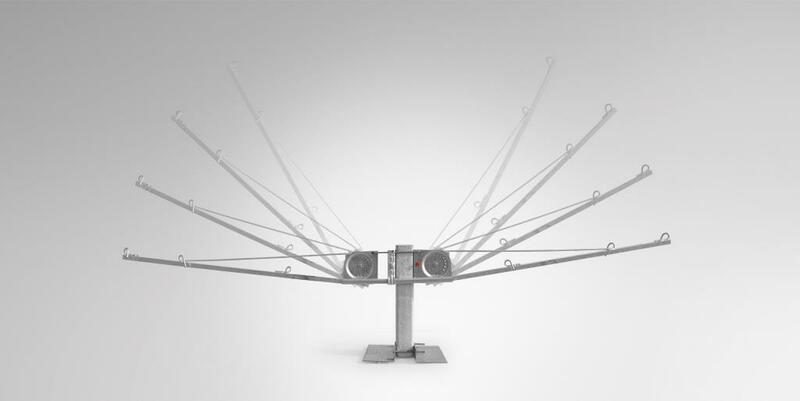 The poles are used with wires and hooks made from Magnelis®. One of the most innovative is the Multi-V patented bracket which allows vines to be positioned for maximum light and air exposure. This ensures the optimal ripening conditions for the fruit.